The third European country to ask for a financial bailout recently after Greece and Ireland, Portugal has just been given a loan of €78bn to secure its financial future after crisis talks were held earlier this month in Brussels. The Eurozone group which approved the loan said it was to “safeguard financial stability in the euro area and in the EU as a whole”. Despite its resilience, the financial crisis of 2008 left Portugal with a noticeable budget deficit, which affected the country’s solid growth experienced in the 1990s. Like all sectors, the cosmetics industry is striving to keep afloat in this precarious economic environment. Manufacturers are happy to play with the theme of ‘saudade’, which in Portuguese describes a mix of nostalgia and melancholy, to make consumers happier by thinking of the good times of the past in order to get them spending again in the future. The hope is that during these times of anxiety, playing on consumers’ positive feelings about the past will soothe and revive them and above all encourage them to start purchasing cosmetics again. In Portugal, the Mercado da Saudade (literally the market for nostalgia) in the cosmetics industry is helping to sell retro products that consumers associate with their childhood or with better times, like the bar soaps produced by leading domestic company Ach Brito, for which many people in Portugal will have fond memories. Last year, manufacturers also reached out to consumers by tempting them with new brands, formulations and innovations in an attempt to get the sluggish market moving again. 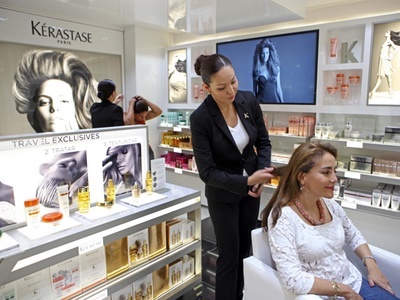 In 2010 the Portuguese cosmetics industry proved quite resilient, even posting slight growth. Beauty kits, sun care products and deodorants were said to be the most dynamic segments and thanks to the launch of new products and even new brands, this acted as compensation for the baby care and men’s sectors which did not enjoy a fruitful year. Ach Brito is one of the leading players in the domestic market but smaller manufacturers are under even more threat due to their size. “The economic situation has certainly seen a downturn in spending. Many areas of Portugal, like the Algarve, rely heavily on tourism and as long as the holiday makers keep arriving then they tend to keep spending their money here,” comments Sandra Croft, founder of natural C&T company, The Lemon Tree. The issue for natural products is even more complicated as the EU prepares to put into practice a new directive regarding herbal medicines. All products will require full licensing throughout the EU and once the legislation is fully in action it will be illegal to sell or supply any herbal medicines that have not been licensed. According to the European Cosmetics, Toiletry and Perfumery Association (Colipa), Portugal is one of the smallest markets for cosmetics in the EU. Portuguese sales amounted to €1.2bn in 2008, representing 1.8% of the whole EU market and Portugal was the 12th largest market in the EU. Demand for cosmetics increased noticeably between 2007 and 2008, by 10%. It seems that in 2010 Portuguese consumers favoured the mass market for purchasing their beauty products, as they preferred to do their shopping under the same roof and at convenient prices. Direct sellers meanwhile enjoyed the benefits of giving consumers tailored advice from their personal specialists, combining this with convenient prices and offers. Indeed, in 2009 Oriflame and Avon featured in the top C&T sales rankings in the country alongside the likes of P&G and L’Oréal. 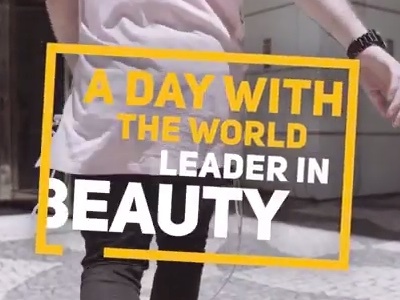 At this time, L’Oréal remained the lead player in the market with both its personal care and beauty products. Moves such as enlarging its Garnier range helped the French multinational to really make an impact in the Portuguese market. P&G meanwhile ranked in second place in the market not far behind L’Oréal. In 2010, the American multinational introduced new brands to the Portuguese market while it strengthened the positioning of its Gillette and Pantene brands. L’Oréal ranked top in the popular Portuguese colour cosmetics market, followed by Beiersdorf, direct sellers Oriflame and Avon, P&G and then Coty. 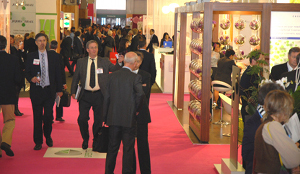 In 2009 the colour cosmetics market grew by 0.7% to total €97.6m, according to Colipa. In general the cosmetics market is expected to grow in the future thanks to innovation, technology and the increasing appeal of organic products. According to Colipa the growth rate of cosmetics sales in Portugal is slowing down, partly because of the economy and also due to the maturity of the market. But Portuguese consumers show an increasing interest in their physical appearance these days and this will continue to encourage the launch of new products in the market because manufacturers know that the customer is open to suggestions and advice on how to look their best. The sectors that will drive change the most, according to insiders, will be anti-ageing products, those featuring high levels of technology and those that target specific beauty needs. Meanwhile, as the Eurozone loan is approved and money is pumped back into the economy, only time will tell how this will impact on cosmetic purchases. Hopefully the situation will start to improve and Portugal can look forward to a more prosperous future. Ach Brito carries a remarkable historical past and combines artisan Portuguese philosophy with innovation. 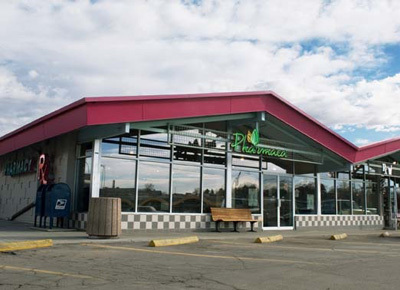 Our motto is: ‘Preserve the past. Hearten the present. Challenge the future.’ We export our ranges to at least 50 countries worldwide and we are positioned in the best retail outlets including Saks Fifth Avenue in New York and Liberty in London. What products have you introduced recently? We have launched two new collections for our luxury line Claus Porto lately. In our range of soaps, we have added the bar soap Argus, made with sandalwood, and this is an example of a retro product that is now becoming very trendy in Portugal. We have also launched our Gift Colourful Boxes, Mini Soaps and Guest Soaps. What gap in the market does Ach Brito aim to fill? With the 2008 acquisition of Saboaria e Perfumeria Confiança, our largest domestic competitor, the Ach Brito Group currently has a wide range of products and brands targeted at all market segments. 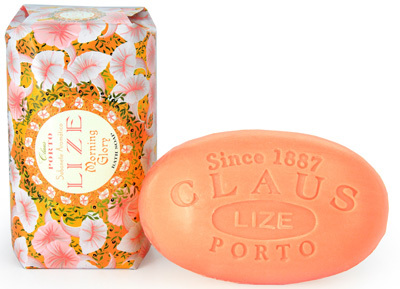 Our Claus Porto brand is aimed at consumers who are after luxury and premium products; Confiança features products positioned in the mid-high price range, while in the mass market we offer brands like Patti, Lavanda, Luxo Banho, Veleiro and Chipre Imperial.